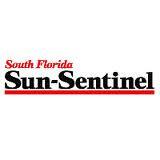 Read the whole article on the Sun-sentinel web site. Click on the logo below. MIAMI (WSVN) — A young South Florida singing sensation is said to be the Miami Heat’s lucky charm. Julia Dale has been wowing Heat fans at the American Airlines Arena for the past years. Some say her amazing voice is actually leading the Heat to a national championship. The 11-year-old is the Heat’s secret weapon. Before game five, the Heat were 14 and 2 on the nights she sang the Star-Spangled Banner at the AAA. “She’s phenomenal. Have you watched her? People love her and have embraced the concept of having her do every game,” said President of Heat operations Eric Woolworth. Dale is from Fort Lauderdale but has been singing for the Heat at home games for the past two years. Her parents recognized her amazing talent at the age of 5 and got her a vocal coach. “Julia is just amazing. Not only is she incredibly talented, but she is the sweetiest, most real girl with a fabulous personality,” said University Center of Performing Arts Director Vindya Khare. Dale was on “Inside Edition” Wednesday night. Her Facebook like page is blowing up. Channel 7 featured her last year during the NBA Finals and said she wants to be a Broadway star. “It’s what I always wanted to do: acting, dancing and singing into one bundle of awesomeness,” said Julia. For now, the star is singing before 20,000 Heat fans at the AAA during the most-watched and important games of the season. “I feel more comfortable. I dont know why. It’s just the way I am,” she said. Dale is loving the attention and feels honored to be considered the Heat’s good luck charm.